The basis and prerequisite of any successful therapy is a careful examination and comprehensive diagnostics! In this regard PACIFIC offers serological reagents which are produced by blood donation and hemotherapy. In a close cooperating with qualified partners all necessary reagents for the in vitro serological diagnostics are provided in accordance with the implemented and certified Quality Management System based on EN ISO 9001:2015 and EN ISO 13485:2015. 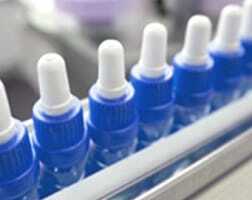 Long-term experience and modern base and equipment allow us for systematic expand the range of produced reagents. All the produced reagents are certified for sign according to Essential Requirements of EC Directive 98/79/EC. Over the decades blood plus its components along with tissue samples for healthcare facilities are provided successfully to the marked. Reagents are registered in the Office for Registration of Medicinal Products, Medical Devices and Biocidal Products.